Split-Level on 8.5 Secluded Acres! Come see this beauty before it's gone! -Updates include - siding, garage door, front door, roof, carpet, tile. Additional Features and Amenities This one is a must see! Welcome home to this extremely clean and well-maintained beauty on a large lot. All of the major updates have already been done for you including siding, windows, HVAC, garage door, front door, roof, carpeting, and tile! This spotless home is move-in ready and waiting for you to add your own personal touches. 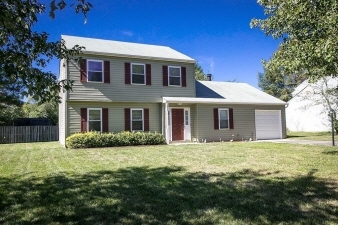 Not only is this charmer beautiful inside and out it has a fantastic location, only 45 minutes to DC and around the corner from Indian Head Base. Once you enter this house you will know you are home! The generous room sizes, large eat-in kitchen, and master suite are sure to please. There are two living spaces, including the perfect family room for the family to relax and watch the game. The dining room lends the option of more formal gatherings for all your family and friends. Hurry, this one won't be around long!